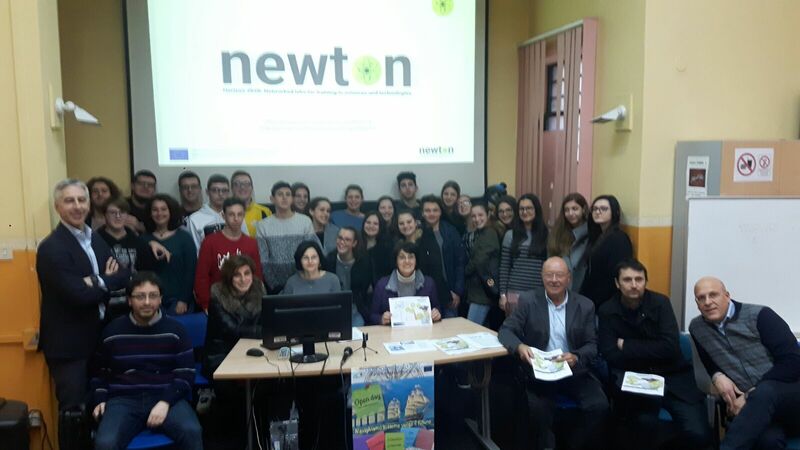 The official presentation of the NEWTON “GAM LAB” Pilot Project has been held at both “Santa Caterina-Amendola” and “G. 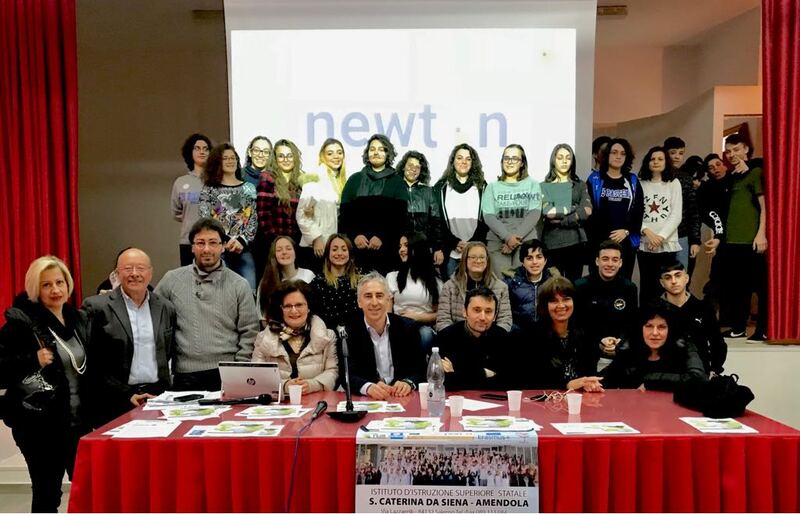 Da Procida” Institutes in Salerno, Italy on March 7, 2018. Participants were Fabio Di Salvadore and Giuseppe Guarino from QUI! Group, Carmine De Nicola from Beyond, the NEWTON Advisory Board Member Prof. Domenico Cariello, some teachers, students, computer lab assistant and the Headmistress from the “Santa Caterina-Amendola” Institute, (Prof. Rosangela Cuoco, Prof. Maria Rosaria Vincensi, Prof. Annarita Carrafiello, Mr. Giovanni Vitiello) and from the “G. Da Procida” Institute (Prof. Annamaria Pisacane, Prof. Clementina D’Amico, Prof. Maria Grazia Rubino, Prof. Annalaura Giannantonio, Mr. Vincenzo Di Filippo). Aim of the events was introducing to learners and teachers their role, the expected goals and activities to be achieved during the Large Scale Pilot “GAM LAB” that will start in April as well as setting the last details regarding the pre-test activities about to start (Small Scale Pilots). An interesting discussion among participants regarding process steps took place where the details were explained and learners described own personal impressions and motivation towards the Pilot, giving useful feedbacks to the pilot operating Working Group.